The Great Plains consist of Oklahoma, Kansas, Nebraska, South Dakota, and North Dakota. Known as the “flyover states”, they’re not a common destination among travelers, but don’t let this put you off visiting. The region’s wide, open spaces, and unique wildlife make for an unforgettable vacation, but be sure to rent a car, as there are very few public transport links between towns. The famous Route 66 from Illinois to California, also passes through the Great Plains in Kansas (19km) and Oklahoma (615km). In Kansas, you’ll pass the small town of Galena, where the producers of the Disney movie Cars got their inspiration for the Tow Mater character. Rainbow Brigde is located on the Route 66 in Kansas. 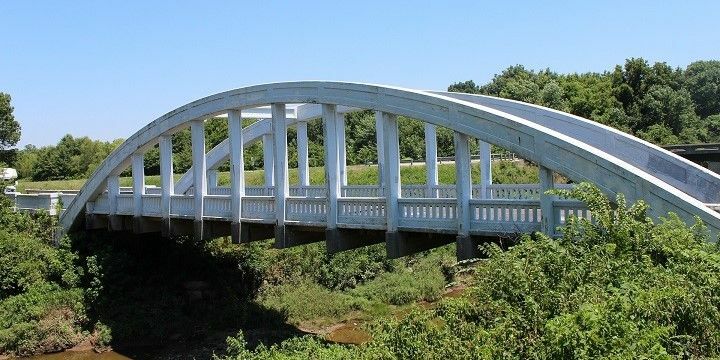 Meanwhile, the Oklahoma section of Route 66 will take you through some derelict areas, as well as charming towns like Tulsa, with well-maintained villas, and Arcadia. The latter is famous for its Pops on 66 shop, which has more than 500 different bottled drinks! If you’ve got time, take the short detours to Grand Lake o’ the Cherokees, and the completely deserted ghost town of Foss. The Great Plains have been, and still are, home to some Native American tribes. Be sure to take part in one of their powwows (the largest of which is held in Rapid City in South Dakota). These celebrations, with traditional music and dance, are organized by Native Americans themselves in honor of their culture. If you want to learn more about Native American history, check out the Crazy Horse Memorial in the Black Hills of South Dakota. This sculpture commemorates the leader of the Oglala tribe, famous for his resistance against the US government. The project started in 1948 and is planned to be 195 meters long and 172 meters high; however, only the face has been completed so far. 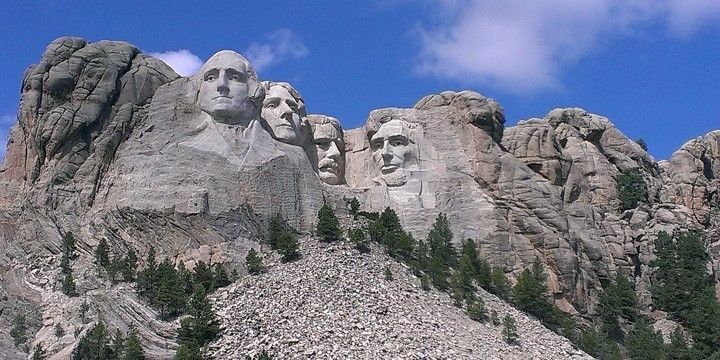 Mount Rushmore National Memorial in South Dakota depicts four US presidents. You’ll find the Mount Rushmore National Memorial about 30 minutes from this monument. This memorial depicts four US presidents, which are each 18 meters high. They are carved into the Black Hills and are particularly spectacular during sunrise, when the stone slowly changes its color! The Great Plains are home to more than 120 state parks such as South Dakota’s Custer State Park, which is famous for its big bison herds. Nearby, you’ll find the Badlands National Park and the Wind Cave National Park. The former is home to unique rock formations, while the latter has one of the world’s largest caves. The Badlands National Park (South Dakota) features unique rock formations. The Sand Hills, meanwhile, are located in Nebraska. This 200,000 square kilometer grassland ecosystem is famous for its 600,000 sandhill cranes, which migrate back to the area from Mexico every spring. Other great parks include the Tallgrass Prairie National Preserve in the Kansas Flint Hills (visit in June for the annual Symphony in the Flint Hills concert in the prairie), or the Wichita Mountains Wildlife Refuge in Oklahoma, which is home to bison, prairie dogs, Texas Longhorn cattle, bobcats, and coyotes. 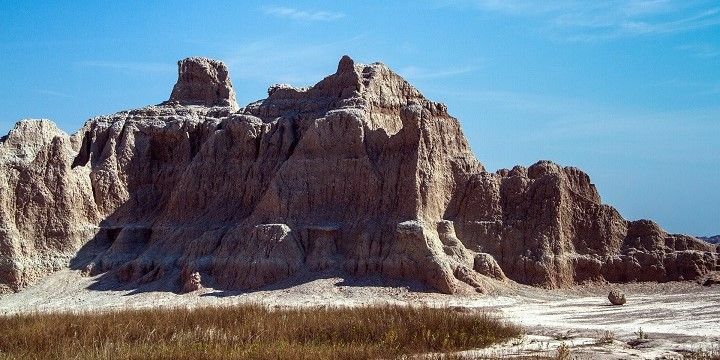 Visit Sully Creek State Park in North Dakota’s badlands (in the Southwest of the state), just minutes away from the historic town of Medora, for long hiking, cycling, and horse riding trails, as well as canoeing tours in the Little Missouri River. Big cities are rare in the Great Plains: Oklahoma City in Oklahoma (around 600,000 inhabitants) and Omaha in Nebraska (around 400,000) are some of the largest. 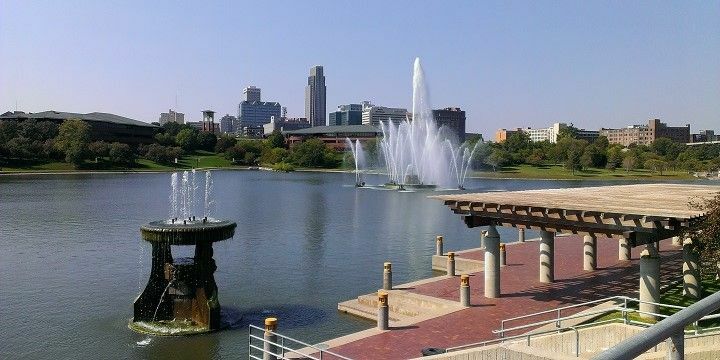 The Heartland of America Park in Omaha, Nebraska is a great place to relax. Nebraska’s capital, Lincoln, is also well worth a visit for its Nebraska Capitol Building, with interesting murals depicting the state’s history. Hot Springs in South Dakota might be a small city, but is a must-see for its fascinating paleontological site, where mammoth bones, dating back 26,000 years, have been found. We road tripped through a few of our Western National Parks (Badlands, Yellowstone, Grand Teton, and Glacier). They are ALL incredible and even though they are all so close to each other, each landscape is so different! We saw mountains, canyons, big trees, geysers, hot springs, snowy mountain tops, and tons of wildlife! I would highly suggest road tripping between all of these and exploring places along the way. We made a pit stop to Mt Rushmore as well which was huge and incredible! We made quick stops at each of these places, but we will be returning to all of them so we can spend more time. I worked on a horse ranch in South Dakota for about three weeks and had lots of time to explore the area - AMAZING! Don't go there if you want to hang out in big cities, but if you love lakes, parks, and nature it's a must-see. Saw my first wild bison there!